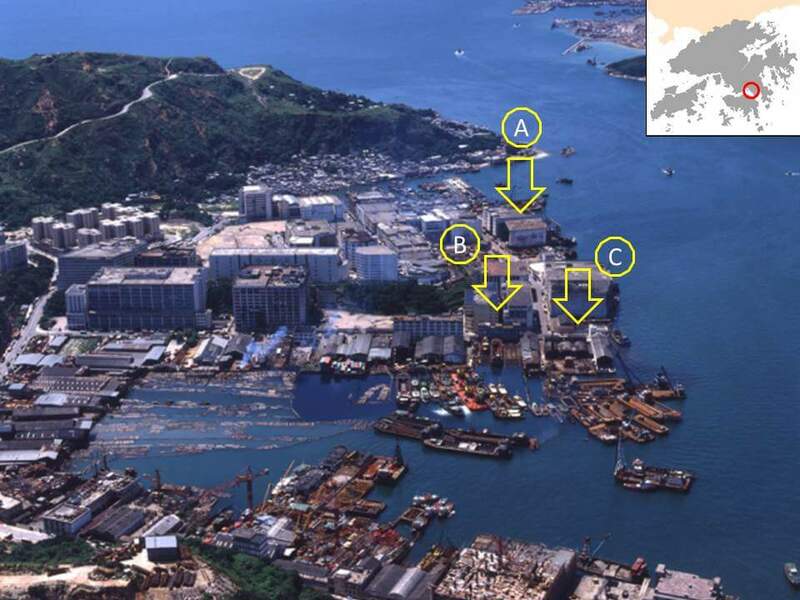 HF: The Yau Tong reclamation is shown here in the mid distance, with Cha Kwo Ling in the foreground, the low buildings of Lei Yue Mun in the distance and Devil’s Peak behind. This photo is from 1983 and shows an apparently thriving industrial area. Today, many of these buildings and shipyards have been demolished or lie derelict. Of particular interest are the companies indicated on the photo about which we have brief articles linked below. I don’t know if A) was operating under Shui Wing in 1983. I think B) and C) were as stated in that year. Confirmation would be helpful. 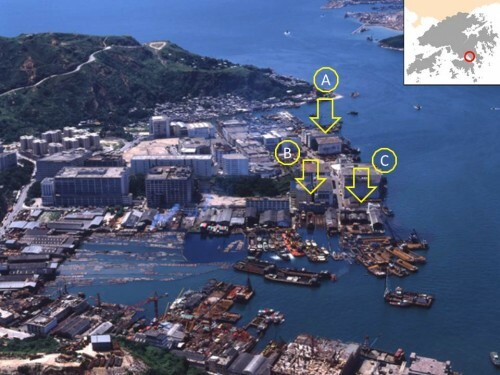 A) A scrap godown of the Shui Wing Steel Company Ltd which operates Hong Kong’s only steel rolling mill in Tuen Mun. Thanks to Tymon Mellor for labelling the original photo.